I finally got around to editing images from a location shoot based on the classic 1980’s television commercial for Levis 501 jeans which featured Nick Kamen and launched Marvin Gaye‘s “I heard it through the grapevine” back into the charts. 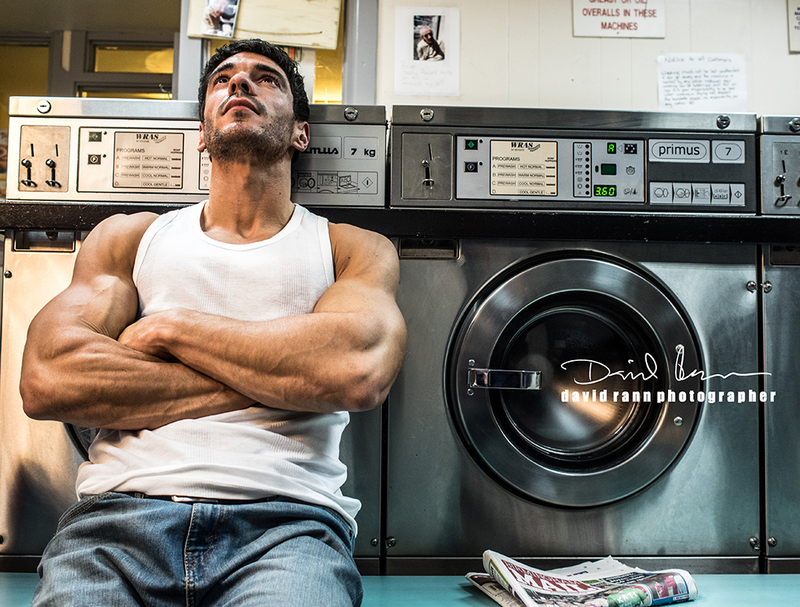 The venue was Harborne Launderette here in Birmingham and I was joined by a small group of my students there one evening as the shop closed to the public for the evening. The models were: Mark Hoban (in the Nick Kamen role) and Jayne Osborne, both of whom were fantastic sports. All of my photographs were taken on the Olympus EM-1 with f1.8 prime lenses. I took some Bowens flash with me but only used the continuous modelling lights to raise the overall light levels but without losing the atmosphere. Many thanks to Mark, Jayne and the lovely people at Harborne Launderette.